Worldwide, households spent a combined total of $251.5 billion on home video and pay-TV in 2016 – up by 3% compared to 2015 – according to Futuresource Consulting’s latest annual report on global home video entertainment. 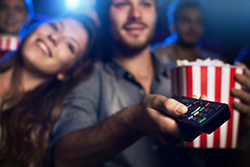 Tristan Veale, market analyst with the company, forecasts that the overall video entertainment spend is set to rise to $280 billion by 2020, with a CAGR of 3%. In 2016, pay-TV accounted for 86% of global video entertainment spend with the pay-TV share of the market to remain stable as growth is in line with spending on both physical and digital home video. 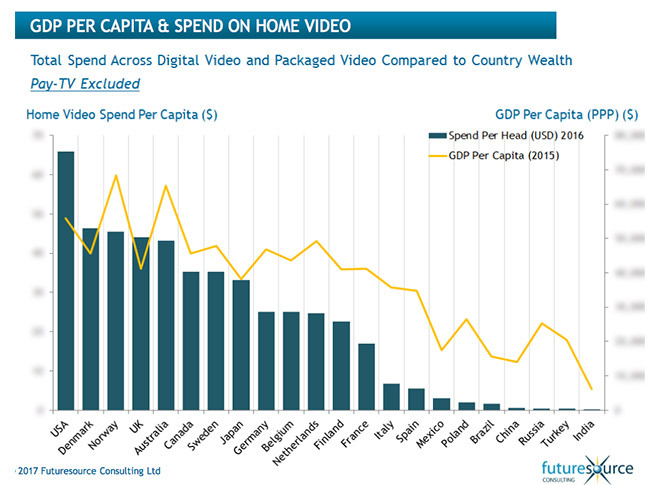 Global packaged video spend is in decline, with the deficit not being made up by transactional digital. Annual spend across DVD and Blu-ray fell by 13% to $21.6 billion in 2015 and is expected to fall to $9.1 billion by 2020. “For 2016, an exceptionally strong late 2015 theatrical slate converted well to home video unit sell-through,” Veale says. “The market also received a minor boost from the introduction of an even more premium tier of Blu-ray, UHD. However, the global rate of decline in dollar terms increased to 17% due to fluctuations in the exchange rate." Futuresource highlights a softness within the transactional digital video market with both rental and buy-to-keep currently under performing. 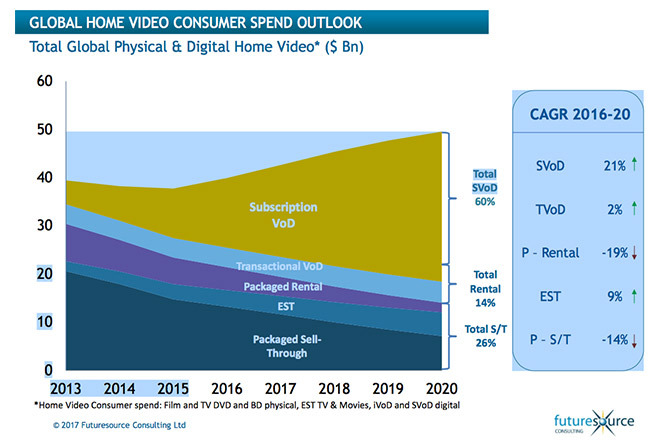 Digital video spend reached $17.5 billion in 2015 with 60% of spend on SVoD. Following growth of 30%, 2016 digital expenditure reached $22 billion for the first time and exceeded that of physical which fell to $18 billion. More information on the report can be obtained here .